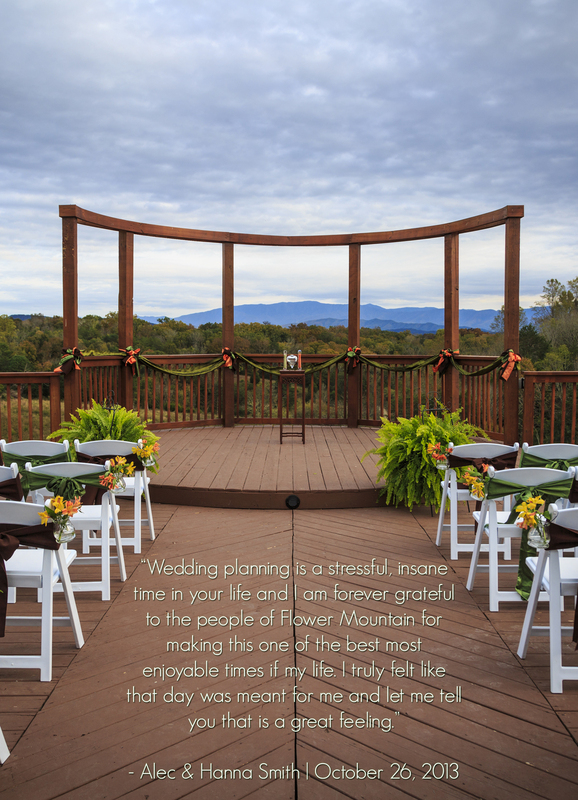 At Flower Mountain your wedding and reception is at one convenient location! 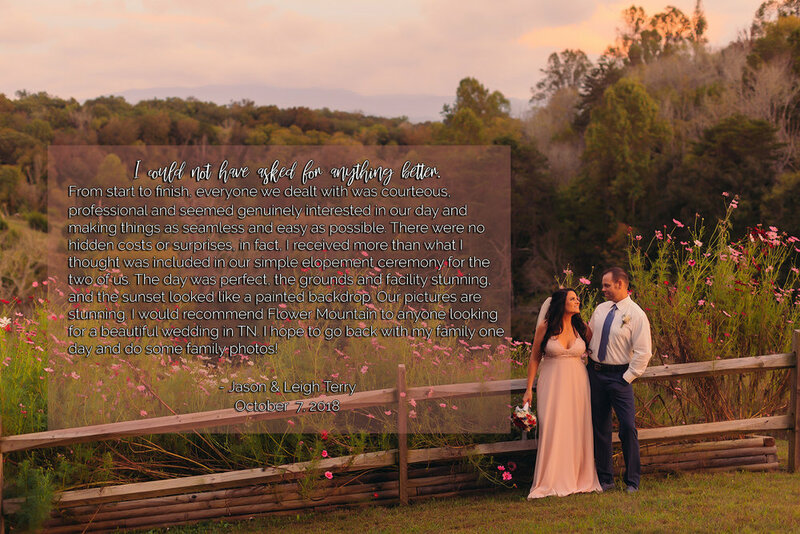 With a captivating mountain view setting, surrounded by 25 acres of wildflower fields, you can host intimate events from 2 to 50. What makes Flower Mountain so unique? Your wedding is literally in the sky! 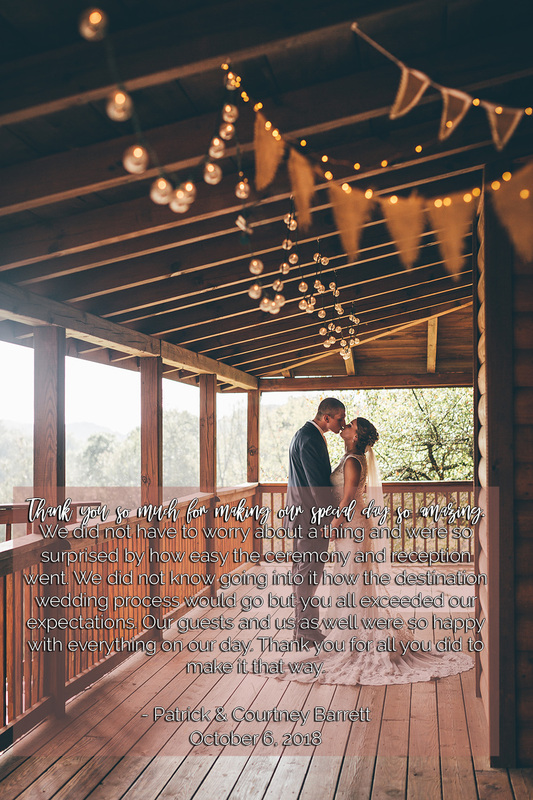 Our mountain view deck is built to provide optimum view of the Great Smoky Mountains, overlooking Gatlinburg, Pigeon Forge and Wears Valley, with a breathtaking pergola for the setting of your dreams. Our wrap around porch gives open air reception in true mountain hospitality style to take in the views and scenery. Flower Mountain also features an indoor wedding option by our intimate stacked stone hearth. So no worries! Our facility is also handicap accessible making everyone welcome. Bridal Suite & Groom's Dressing room provided complimentary up to one and one half hours prior to your wedding event start time. 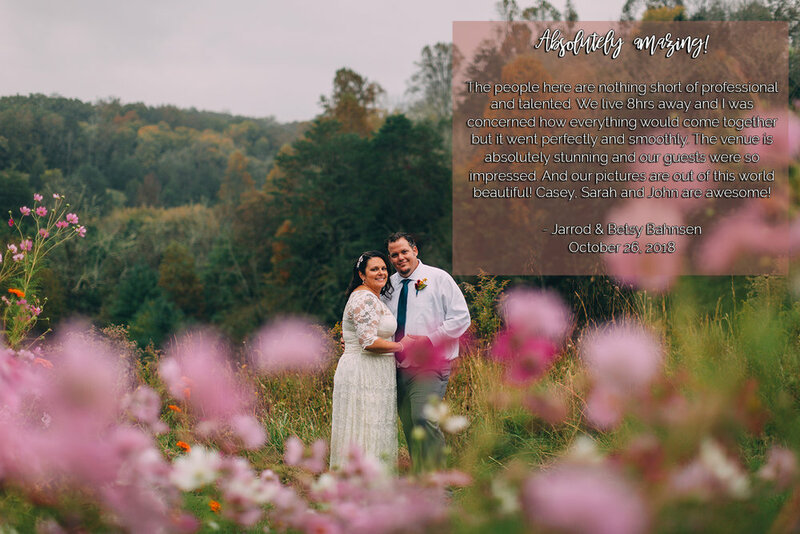 Professional Photography– Gatlinburg Photo is our exclusive photographer(s) and they are very knowledgeable with over 25 years of wedding photography experience combined. We are closed Wednesdays and Sundays. Effective June 1, 2014: Rehearsals are not included with your booked wedding/event. They may be added based on availability at the rate of $199 per half hour with a wedding coordinator present. *We're closed on Easter, Thanksgiving, Christmas Eve and Christmas Day.